Next up, a personal favorite. 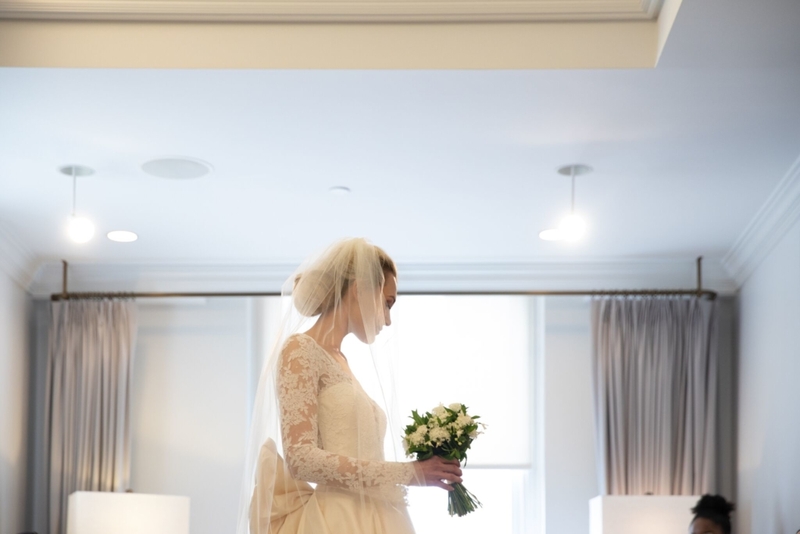 Romona Keveza, and her gorgeous penthouse at Rockefeller plaza. This place, these dresses and this designer are all iconic. I look forward to seeing her presentations every season. Romona herself typically explains the inspiration behind each collection, and it is really impactful to hear the story of each collection directly from the designer herself. She talked about how important it is to her to hand sew and hand select fabrics. By being there and speaking with the group gathered in the space (maybe 10 – 15 people at a time), she offers those people an opportunity to really be a part of her world for those moments and it is really special. 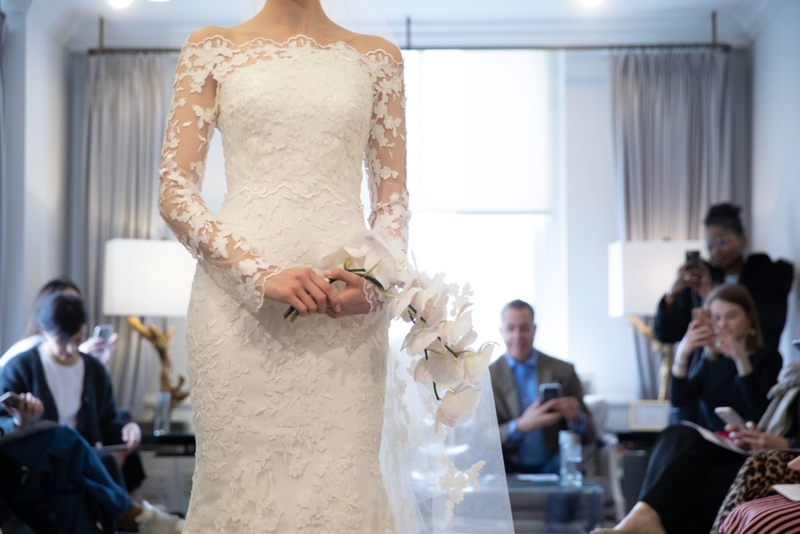 As many of you may know, my wife wore Romona Keveza at our wedding in January of this year. The fit, the construction and the craftsmanship behind each gown is unreal. Her gown took 5 months to make. Which is truly a work of art, just like each of the pieces we saw at market. 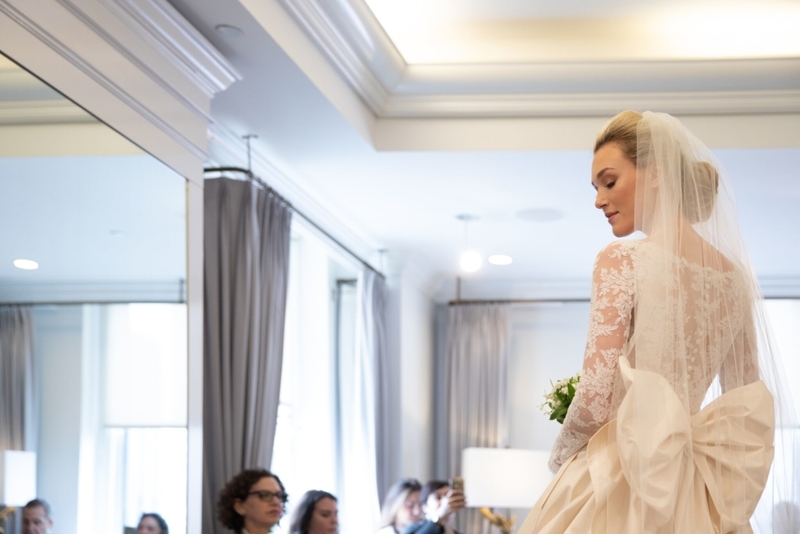 The presentation started with her new “Romona New York” collection for brides that love Romona style but have a budget of $3,000 or less. 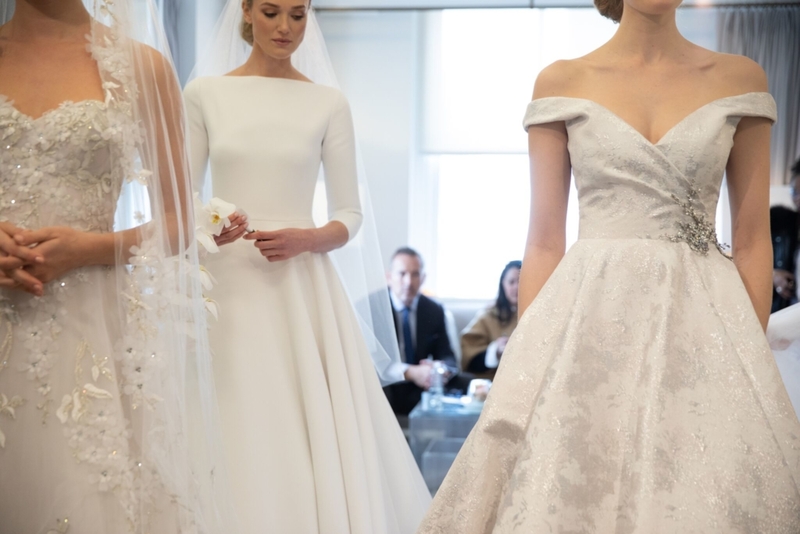 After that, she presented her “Legends” collection, a classic line of gowns that this season were all named after women that Romona considered to be royal (or were in fact royal), and what she thought their dress would look like today if they were married. From Jackie Kennedy to Wallis Simpson and from Rita Hayworth to Carolyn Kennedy, she brought the timeless beauty, grace and style of these women to life with her own incredible interpretation. 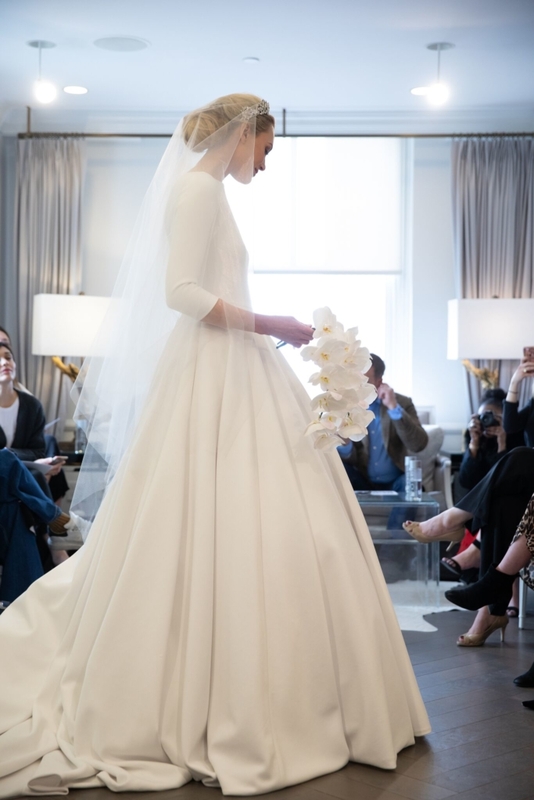 …and then, she presents Romona Keveza Collection. Which for me is a penultimate collection of incredible every single season. 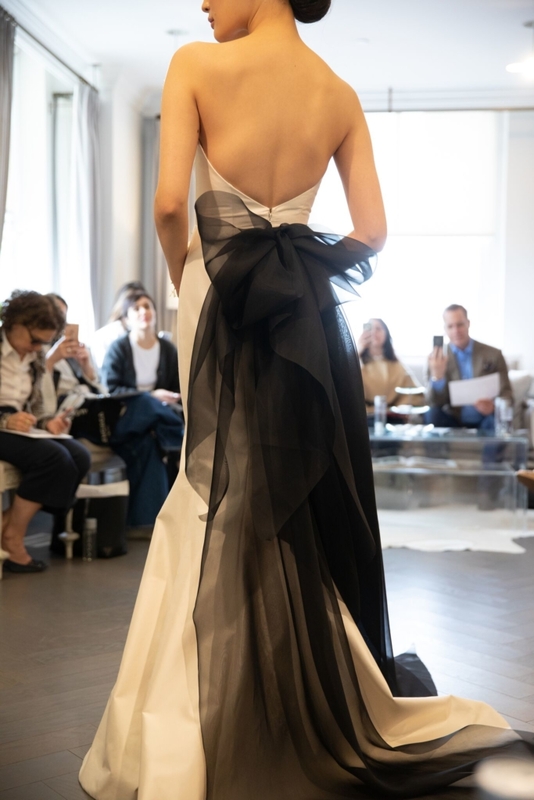 For this collection she was inspired by royal places, every single location one that you most certainly would want to visit, let alone get married at. 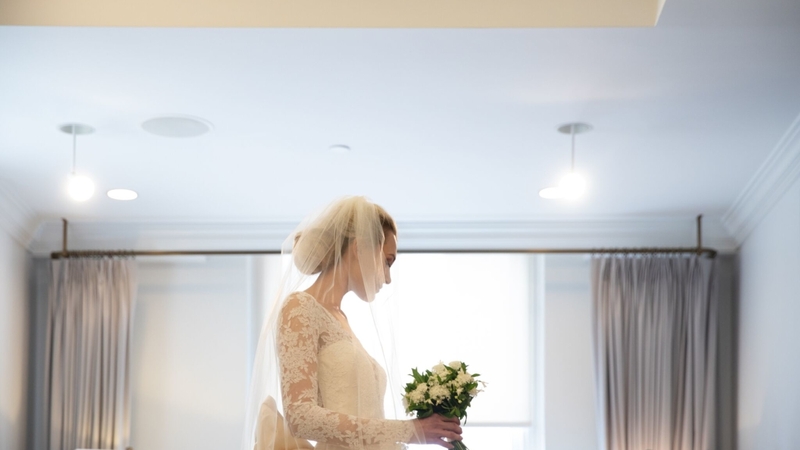 From Windsor Castle to Villa D’Este, and from Versailles to La Scala, there were simple lines, beautiful lace, ultra feminine looks and really pretty veils. 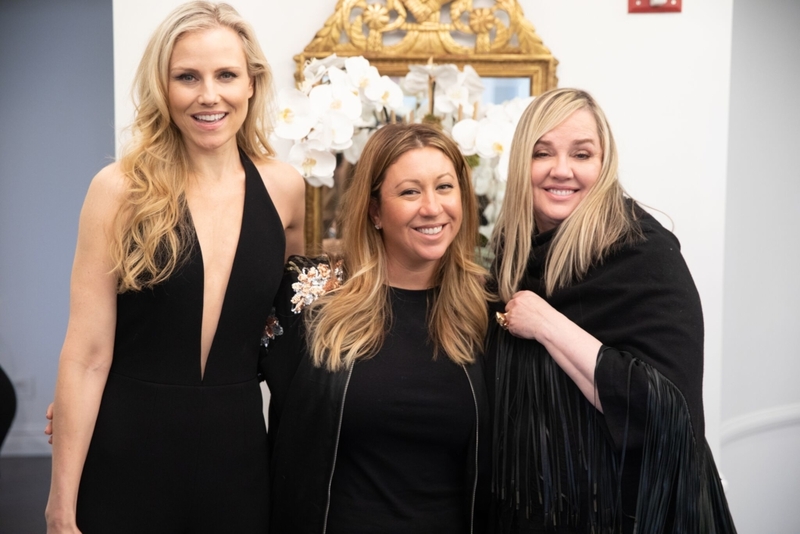 A highlight for me was getting to capture a “post wedding” photo of my wife Michelle with Romona and brand spokeswoman Jolene!